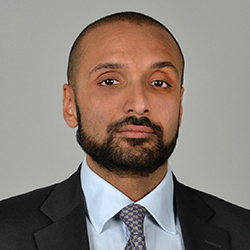 Anupreet Amole is a Partner in Brown Rudnick’s White Collar Crime group. Anupreet advises companies and individuals on business crime and corporate compliance issues. He handles sensitive investigations in a range of multi-jurisdictional matters, focusing upon allegations of bribery and corruption, fraud, tax evasion, and money laundering. Anupreet has particular experience of advising companies on financial crime compliance and risk management, including as to diligence in M&A deals. Past and present clients include various FTSE 100 companies, senior executives, investment advisory firms, professional services firms, and high net worth individuals. In addition, Anupreet is leader of the firm's cybersecurity group, advising companies both before and after a data incident. Legal 500 reports that Anupreet is "particularly impressive and has excellent industry awareness" (Legal 500 UK, 2019).